Members of the Tool Team L-R.
Scotland FFA members participated in Creed Speaking, Public Speaking and Tool ID contest at Purnell Swett High School on February 25, 2014. Members of the tool team were Kenneth Stokes, Cecil Myers, Kasery Ray and Jacob Powers. The team placed second and will participate in the state contest at the NC FFA State Convention in Raleigh, NC on June 18, 2014. Kenneth Stokes was 2nd high individual in the Lumber River Federation contest. 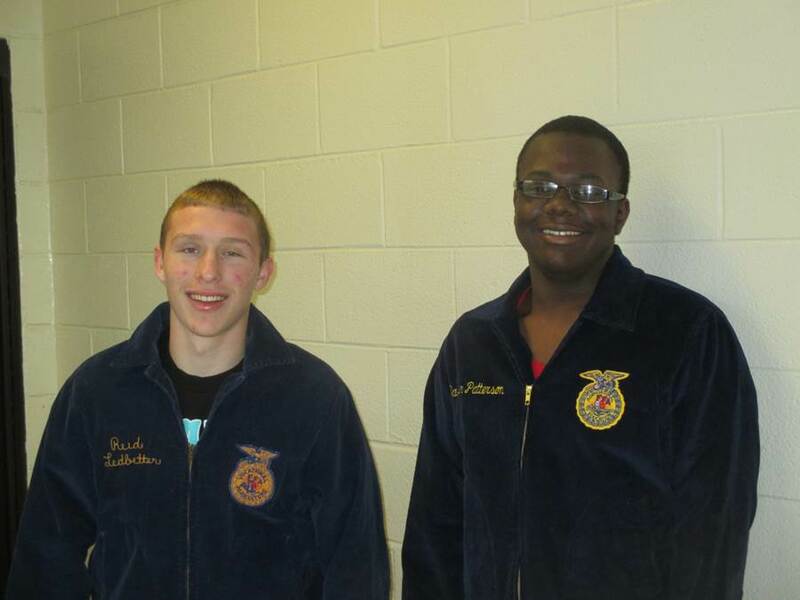 Bryce Charleson placed 1st in Prepared Public Speaking and Dashawn Patteron placed 2nd in the Creed Contest. These individual will participate in the South Central Regional contest on May 9,2014 at Fayetteville Technical Community College. This entry was posted in Ag, FFA. Bookmark the permalink.